Please know that every visa type has different requirements, so before anything else, be sure to ask your chosen accredited agency for confirmation. - Don't tamper with your passport. - It must be valid 6 months prior to your travel date. - It must have your signature and at least two (2) blank pages. Download the form here. I recommend you edit this using your computer so you can submit it in print form. - I took my photo via Picture City in Waltermart Makati for P100. Ask for their Japan Visa package. - Do NOT staple your photo on the form. It should be pasted or glued instead. If you can't be bothered to line up and waste a lot of time in obtaining your birth certificate for your Japan tourist visa application, you can just request online thru NSO Help Line. Your original birth certificate costs P350 (along with the delivery). I requested on a Friday and it was delivered on Tuesday next week. You can even pay using your own debit/prepaid card. For you to get a sample itinerary, you can download this Word format here. This is a sample of what I submitted. See how OC I am? There is no fixed amount, but you need to be able to show the Embassy that you can fund your vacation during your stay in Japan. To give you an idea, I asked the agency how much amount should I consider. The agent said that for a 5-day Japan trip, P100,000 in your bank account is a good start. Since I'm self-employed, I readily have the original Form 1701 with me. For employees, you may request your Form 2316 through your HR department. According to Embassy of Japan, you're responsible in ensuring that you meet the requirements for the grant of visa. So, you're encouraged to submit any supporting documents not listed above! Copy of Lead Concert Ticket (August 23, 2014) together with Official Digital Copy of Lead Concert Announcement with copies of my personal Lead merchandise collection. I told you I'm OC! Then again, it's better to give everything you've got rather than to regret it in the future, right? Personally, I went with Universal Holidays in Dusit Thani Hotel (Makati). My application was submitted on Thursday around 4 pm. By next Tuesday around 4 pm, I already got an SMS and an email notification that my passport is ready for pick-up. 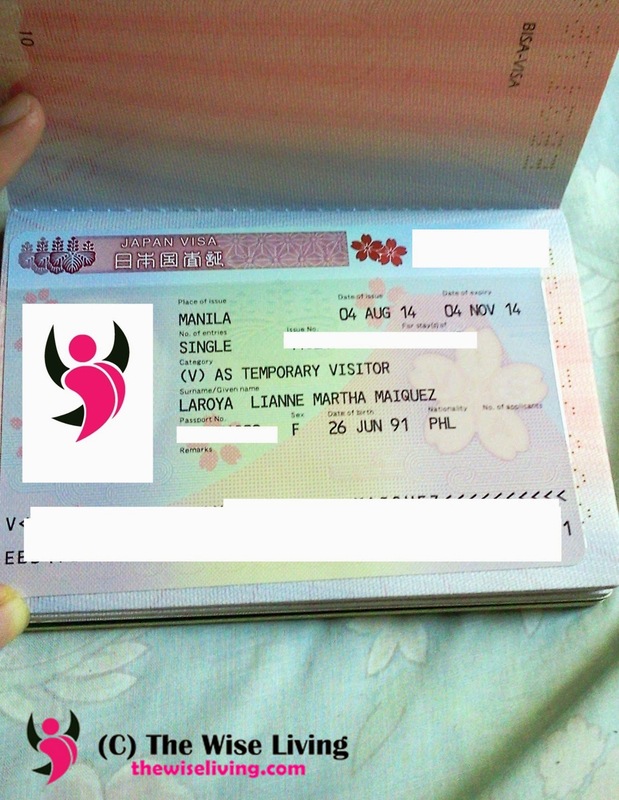 How was your application for Japan tourist visa? Also, do you guys have any Tokyo spots recommendations I should visit?